Just 15 minutes from the beautiful Saint Joseph & Benton Harbor area and within a 1.5 hour drive from Chicago or Detroit. Southwest Michigan is known for its fantastic tourist attractions including local wineries, breweries, beaches and apple, peach, cherry & blueberry picking. Jollay Orchards is a nearby and popular destination for seasonal events and orchard picking for all ages. The beaches along Lake Michigan are some of the finest in the world. The most notable are Silver Beach, Tiscornia, Rocky Gap, Jean Klock Park and Weko Beach but the list goes on and on. Someone say Vineyard? 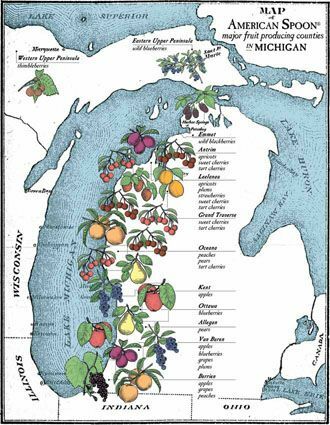 Berrien County is long known for it's vineyards and first-class wine grapes. Visit 21 wineries on The Lake Michigan Shore Wine Trail. Artisan breweries are popping up all over Southwest Michigan. Check out the Beer-illiant Brewery Tour which is sponsored by the Southwest Michigan Tourism Council. Looking for more local information? visit Southwest Michigan Tourism Council — their website is an awesome resource for local event listings, lodging and all sorts of other great stuff! Sundance Studios is 15 minutes east of the Benton Harbor Arts District and beautiful downtown St. Joseph where you'll find a wide-array of boutiques, restaurants, museums, hotels, beach rentals and seasonal events.